If the Marshall Islands cannot be saved, how will others manage? By 2050, up to 1 billion people — about 10 percent of the world’s projected population — could become climate-change refugees because of rising ocean levels, according to the United Nations. If only for this reason, the world should not let the Marshall Islands drown. There is little time to lose. Already, radioactive chemicals such as plutonium are threatening to leak into one of the Marshall Islands’ atolls because rising seawater has penetrated a nuclear waste cemetery. Water laps the front step of many Marshallese homes. More frequent inundation and flooding events are already occurring. The situation is extraordinarily fragile. 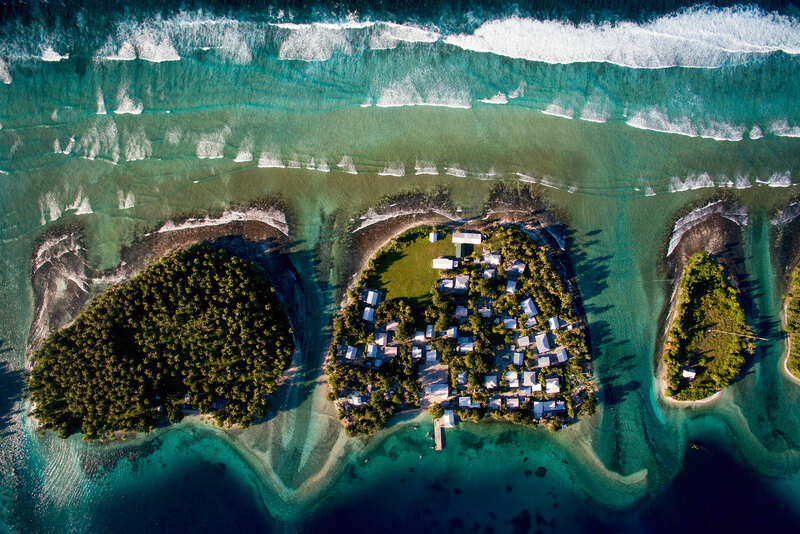 Determined to act before it’s too late, the Marshall Islands are transforming themselves into a real-life laboratory for preparing for the effects of climate change. They are building sea walls, designing large coastal protection systems, integrating adaptation and resilience into national plans, and expanding capacity to store rainwater in both urban and rural communities. Planners are also exploring the possibility of raising new islands to physically increase the land mass above water.